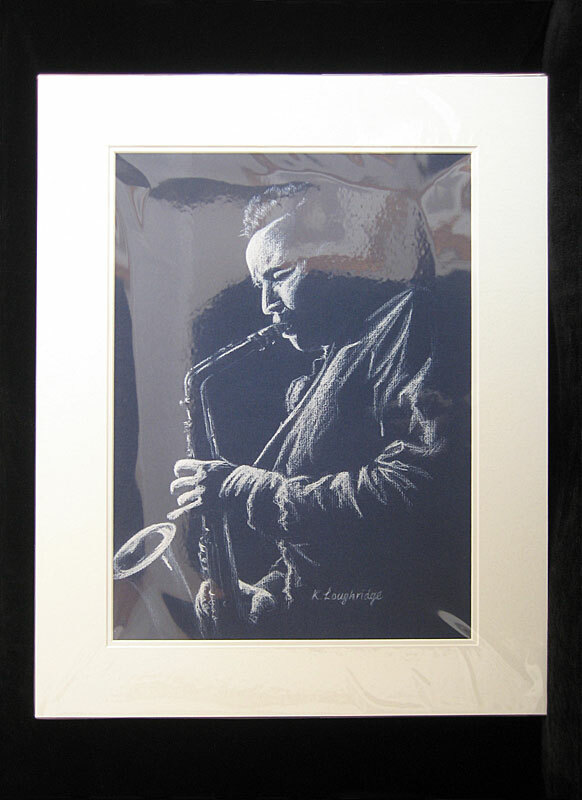 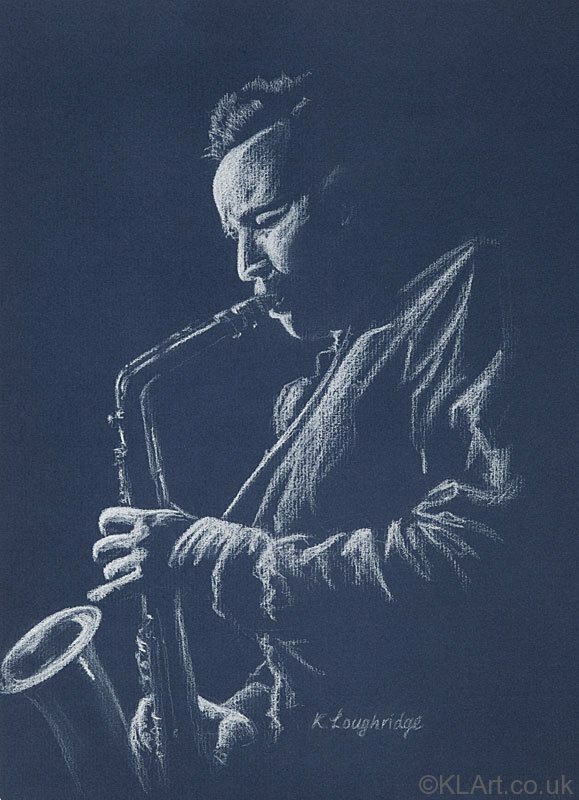 These Blue Sax Fine Art Prints are reproduced from the atmospheric pastel painted original. 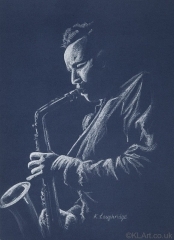 The portrait evokes the soulful, mellow timbre of this woodwind instrument in the hands of his master. 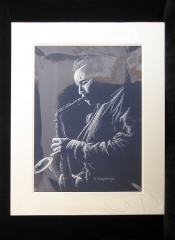 The image captures both the gleam of the polished sax and the isolated concentration of master of this instrument as they work in harmonious unison for their performance.